Hazelnut milk is the answer to my mild aversion to Almond Milk. It's strange that hazelnut milk tastes just like you'd expect—hazelnuts—but almond milk doesn't taste much like almonds to me. Not only do I prefer the taste, but I am a bit obsessive about not repeating too many of the same foods in one day. I like to diversify my nut consumption, and since there are already whole almonds in my muesli, I'd rather eat it with hazelnut milk, than more almonds. 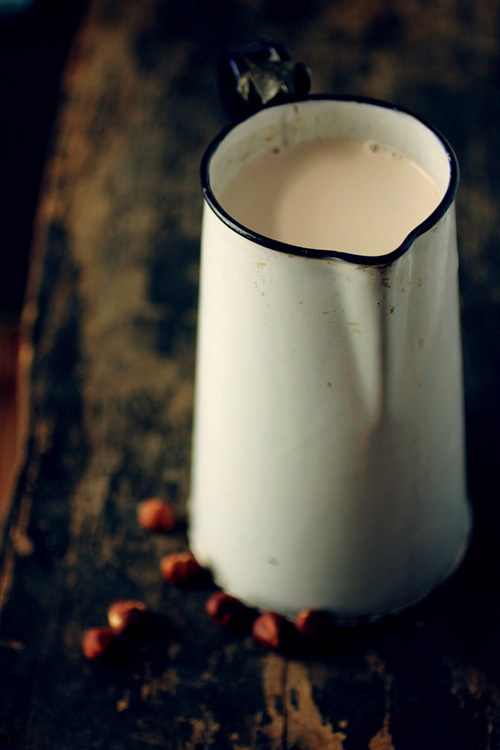 Hazelnut milk is just as easy as Almond Milk. 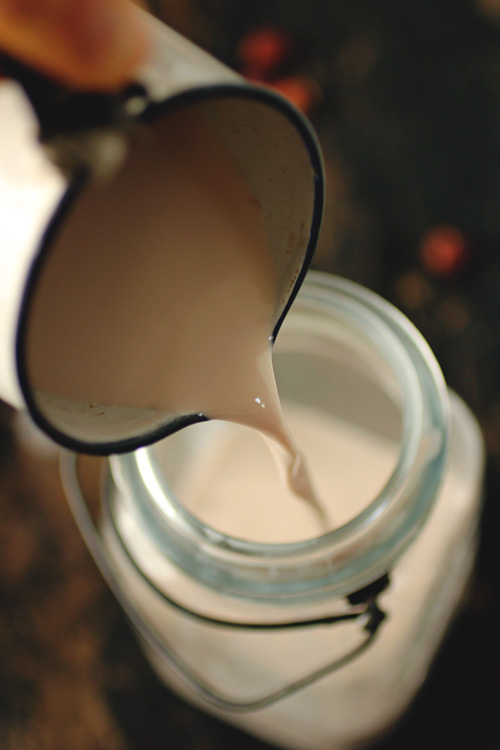 I originally avoided making my own nut milk because so many recipes recommended using a powerful blender, to properly pulverize the nuts. I use my parents' anicent Osterizer blender, which I remember going to the liquidation store to get. It works fine. In other news, I am officially finished my Baking and Pastry Arts program—I had my final practical exam yesterday. I'm really glad I took the course, and I'll miss feeling like I am learning and improving my baking skills every week, but it's also nice to be done with school...again. 1. Blend together soaked hazelnuts and fresh water. 2. Strain through a nut milk bag, a jelly bag (what I use) or a couple layers of cheese cloth. Squeeze tightly to get all the liquid out. Store milk in refrigerator—it will keep for a couple of days. 3. Reserve pulp—you can dehydrate it to make hazelnut flour (I bet it'd work in Carrot Cake), or use it in any number of recipes that call for nut pulp. PS: This is my little garden gang, hanging out by their window. Look how big they've gotten! Also, congrats on finishing your program! That's gotta feel good. Congratulations on being done school! I'd be curious to try hazelnut milk. And these photos are amazing! It even has an appealing, nutty colour! So now that you're finished your degree you can email me back. Thank you once again for this amazing rich creamy flavorful delight !!! I will definetly make again. Great Recipe! I love adding this to my smoothie! I hope that it's okay that I put a link to your recipe from my blog? This sounds great. But should I store the milk in a specific container? do you know how long the hazelnut flour would last? And can hazelnut flour be used in recipes that call for all purpose flour? would it just change the taste of the food and make it more hazelnutty tasting? 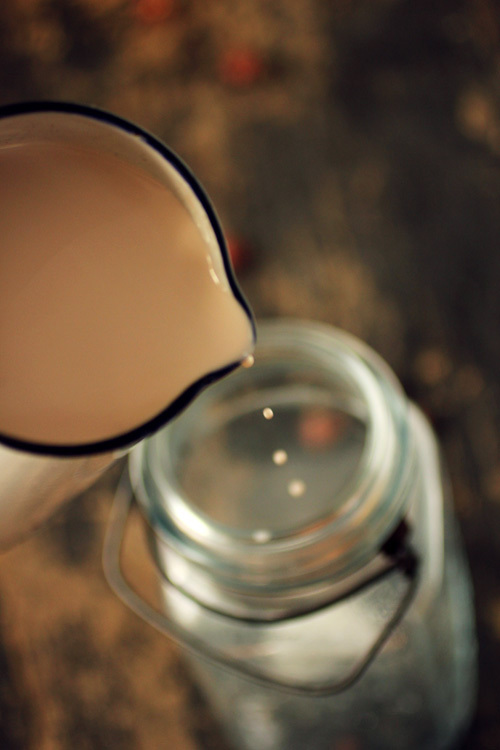 I store my nut milk in a mason jar but any well sealed container would work. 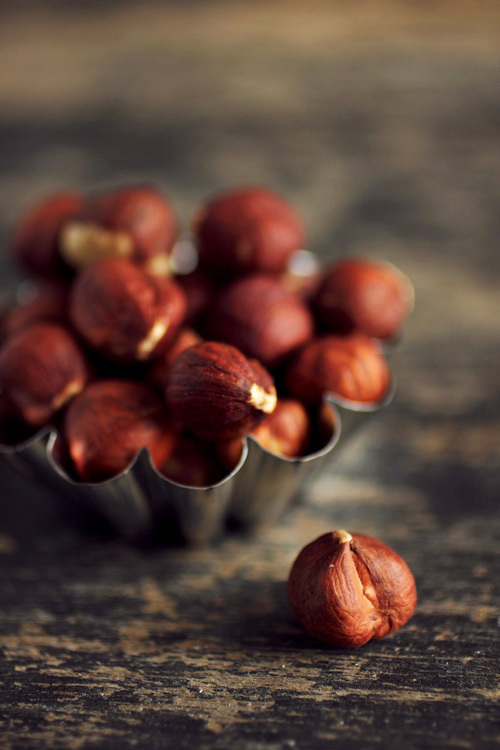 The hazelnut flour lasts for ages if you dehydrate or freeze it. I've kept nut flour for months like that. You cannot substitute all purpose flour for hazelnut flour without making a number of adjustments to the recipe, as there is no gluten in nut flours. But, there are plenty of recipes out there formulated for nut flours!